Glenn Howerton: Yes, I see where you’re going with this. Nick Nunziata: What the hell is going on with that? How did that come about and what can we expect from that episode? Glenn Howerton: Well, I will tell you that it was not, I can promise you, it wasn’t calculated at all on our part in terms of garnering more attention. It was not a publicity stunt at all, even though we have been talking about it because it does make for very good publicity. I think Rob and Kaitlin had just met David Benioff and his wife at a couple parties, and they just kind of became casual acquaintances and friends. They both expressed mutual love of each other’s shows. They’re huge Game of Thrones fans and were, I think, very shocked and surprised and pleased to hear that both D.B. Weiss and David Benioff are like the biggest Sunny fans on the planet, which seems very incongruous and strange. They are actually massive, massive fans, and I think they just floated the idea that they had an idea for an episode, and they really wanted to write one, and we just thought let’s just see if that could work. It’s really the only time where somebody from outside of our “organization” has successfully written an episode, I’ll put it that way. We took them through the process, and gave them the best shot. We actually brought them into the room and broke the episode with them, and sent them off to write a draft, sort of incredibly shocked that they would even have the time or the energy to do it. They came back with a great episode. We, of course, did what we always do, and we had to do some re-writes, but really not that many. It was pretty solid. Nick Nunziata: I think it’s a testament to what this little universe you guys have created that you could do that, and that you’re starting to see the bounce-back from what you guys have accomplished. I’ve been reading a little bit about the business side of things, and it seems like you guys are coming up towards some situations where the show may be forced to either cut budget or define an endpoint. I hope to God that you guys aren’t into that because it seems like you are almost impervious to some of the … that is in the business. I wish you the best of luck with that, man. 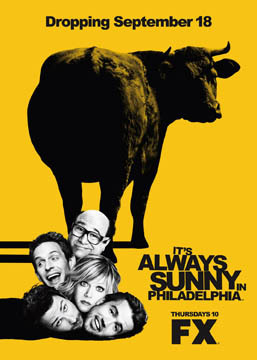 Glenn Howerton: That is very, very kind of you to say and it really means a lot to hear that. We’ll see. We are definitely going to do one more after this, which I’m sure you know, and then it’s being tossed around the idea of doing more. It is a question mark, but we’ll see. We’re still having fun, I can tell you that. Regarding maintaining balance in the “comedy of cruelty”. 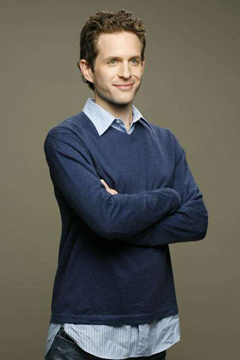 Glenn Howerton: That is a very good question, and it’s kind of a difficult question to answer in some ways, because I don’t totally know the answer, other than to say I think the reason it works is because none of our characters, at that end of the day, don’t get away with their behavior. They’re not celebrated. They don’t, generally, achieve their goals. So, I think it’s become pretty clear to our audience that, you know, our behavior is ultimately self-destructive. Even though, the characters lash out at each other and other people, I think it’s generally understood it is to their own detriment. Do you know what I mean? I think that in some ways, seeing the lesson be learned, not by the characters, it’s just so obvious that this type of behavior is not rewarded in any way, and I think that’s why we get away with it. Then, I think, you combine that with a certain amount of, I don’t know, wish-fulfillment, I guess. But, ultimately, I think it’s because the behavior is never rewarded. Glenn Howerton: I’m the wrong person to ask. I don’t know. I mean, I don’t know if you saw the last week’s episode, but we did an entire episode, essentially, about that. I’m not really entirely certain, all I’ve got are theories, and I’d be happy to spout them for you, but I don’t really know. I mean, I think first impressions are huge in this business. I think we started as a very, very small show, and I think we looked so low-budget and FX wasn’t known for comedies, and I don’t think people really paid any attention to us. We didn’t have Danny on the show, and I think because it took so many years for it to grow its audience, it just, I don’t know. I think that first impression of a low-budget, we-don’t-need-to-pay-attention-to-this-small- cable-comedy thing kind of stuck. It seems like, though, the Emmys, in general, they really love cable dramas. But, they don’t really seem to love cable comedies. I could be wrong; I don’t pay that close attention to it. I wish I knew, my friend. Glenn Howerton: Not really. Let’s see, I think ten years ago, I auditioned for the Superman reboot, and that was about like two years before that actually came out, the one with Brandon Routh. But, that was before Sunny. And then, I did audition recently for the Guardians of the Galaxy, to play the role that Chris Pratt is playing. I know that the director of that movie, supposedly, is a big Sunny fan, which is cool. But, usually, they’re already looking for some giant movie star to play those roles. I certainly don’t have anything against doing something like that. I have to admit, I really do enjoy playing bad guys, and extremely evil people, which is why it’s a lot of fun for me to play Dennis, or at least the challenge is making Dennis, you know, likable even though he’s such a despicable person. I think playing something like The Riddler would definitely feel like it was in my wheelhouse. Buy the show from our Amazon link and help us out.